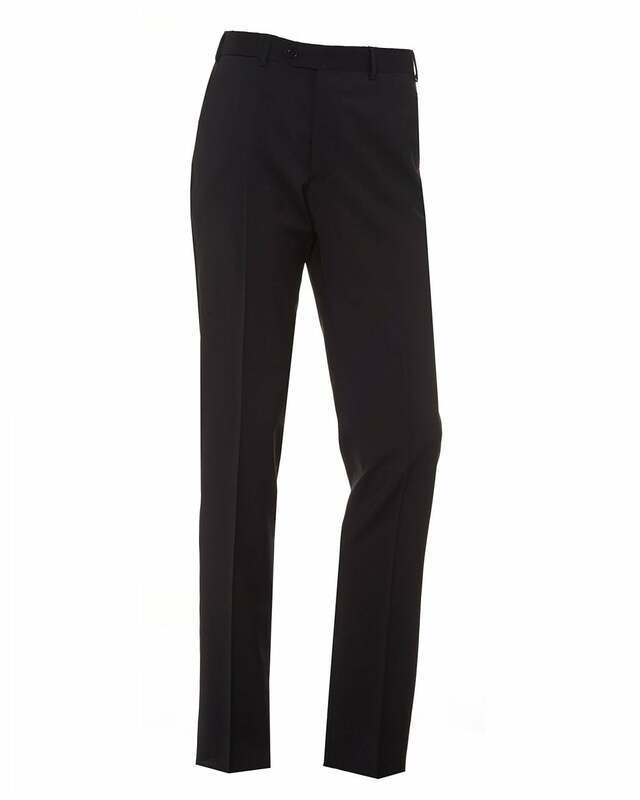 These straight leg trousers by Emporio Armani are crafted from high quality virgin wool, made in Italy. These navy blue trousers are the perfect addition to your work wear. Featuring two side pockets, button and zip closure and visible buttons on the back pockets.